Probiotic foods contain live, good bacteria that are beneficial to one’s health. They are good for your gut health and helps improve skin conditions and metabolic health. They also alleviate some digestive problems such as irritable bowel syndrome. Yoghurt is made from milk fermented with good bacteria such as the Lactobacillus casei and bifidobacteria. Some yoghurt have added artificial sweeteners, so look for ones labeled with “live and active cultures”. A non-dairy alternative is coconut yoghurt. Yoghurt is good for the bones and digestion. Kefir is fermented goat’s milk using kefir grains (combination of lactic acid bacteria and yeast). It is high in antioxidant and helps with some digestive illnesses. For the non-dairy version, try the coconut kefir. “Sauerkraut means sour cabbage in German. Sauerkraut is fermented cabbage using lactic acid bacteria. It is commonly used as a side dish and has a sour and salty taste. Sauerkraut is rich in fiber, Vitamin C and K, as well as high antioxidant content. Make sure to buy unpasteurized sauerkraut as pasteurization takes away its probiotic elements. Kimchi is a Korean side dish, made with fermented cabbage and seasonings such as chili pepper flakes, ginger, and garlic. As well as being probiotic, Kimchi is high in calcium, iron, vitamins A, C, B1 and B2. Originating from Japan, this is fermented black and green tea using bacteria and yeast. Kombucha is good for the digestion, liver and increased energy. Kvass is an Eastern European fermented drink. It was traditionally made with rye bread and vegetables. However, modern variations are now made with vegetables, fruits, salt, bacteria and yeast. It has a fizzy, mild, sour flavor and is high in beneficial enzymes. It is also rich in vitamins as well as blood and liver cleansing properties. 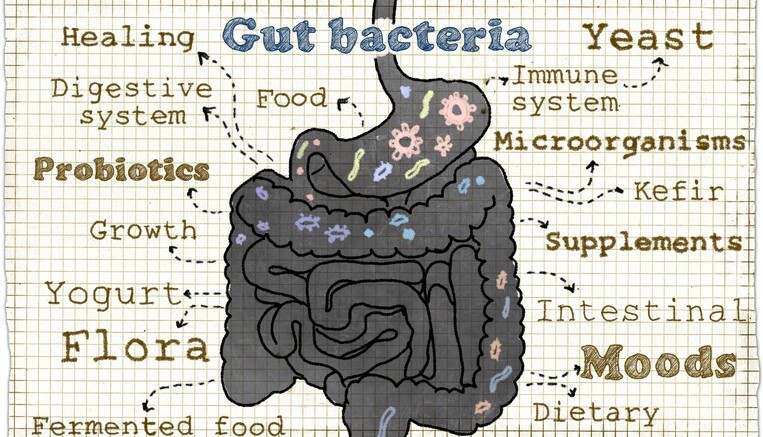 Be the first to comment on "6 Probiotic Foods You Should Know About"